In this book we set the "post-racial" claims into relief against a background of pre- and post-election racial animus directed at Barack Obama, his administration, and African Americans in general. In specific, we examine how racial fears, coded language, and explicit as well as implicit (automatic/subconscious) racism are drawn upon and manipulated by the political Right. Racial meanings are reservoirs rich in political currency, and the Right's replaying of the "race card" still serves as a potent resource for "othering" the first black president in a context rife with nativism, xenophobia, racial fatigue, and white backlash. Matthew W. Hughey and Gregory S. Parks, The Wrongs of the Right: Language, Race, and the Republican Party in the Age of Obama. (New York: New York University Press, 2015) 2. 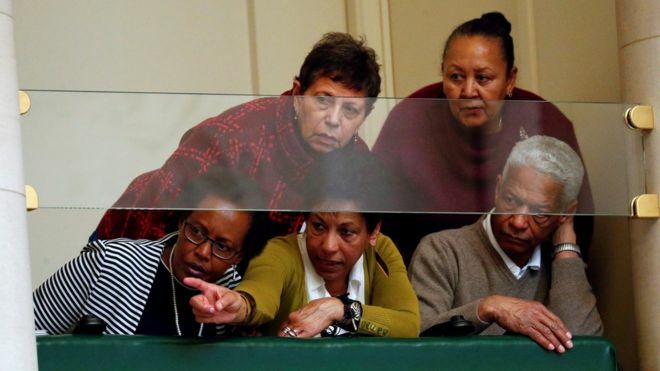 Oxford, England—Belgium’s Catholic Church has apologized for its role in mistreating mixed-race people, who were born in colonial times to European fathers and African mothers and later taken away for adoption. “The history of many metis, born of a Congolese, Rwandan or Burundian mother and a white father (serving) in one of these countries, is an obscure episode of Belgian colonization,” the bishops’ conference said in an April 26 statement. 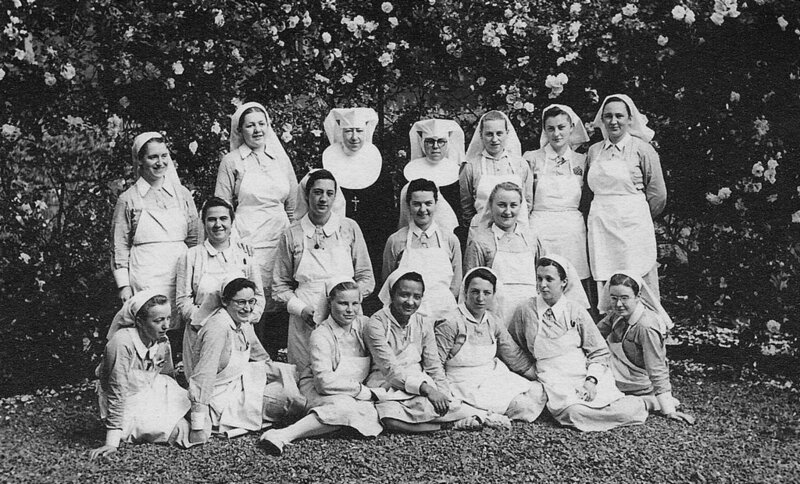 Augusta Chiwy as a nursing student, front row center, at St. Elisabeth Hospital in Leuven, Belgium, in 1943. She saw so much and could say so little about it. In late December 1944, as German bombs rained on the Belgian town Bastogne, an American Army surgeon named Jack Prior banged on the door of a local home, desperate for help. He had heard a nurse lived there. When a middle-aged gentleman cautiously opened the door, the surgeon asked if the man’s daughter could join him at the Army’s makeshift hospital close by. 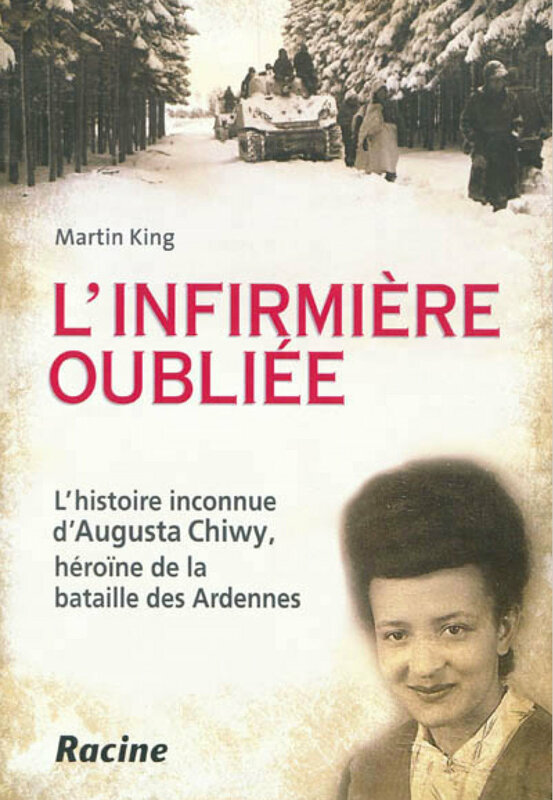 Prior knew Augusta Chiwy was black — her father was Belgian, her mother Congolese — and he knew the American Army prohibited black nurses from treating its white soldiers. But he reasoned that volunteers weren’t bound by Army rules. And anyway, he needed help. 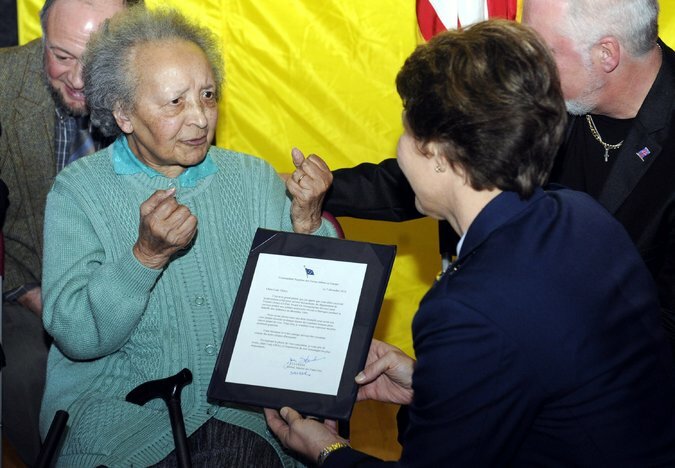 Augusta Chiwy, a Belgian nurse whose unsung bravery in saving countless American soldiers wounded in the Battle of the Bulge was belatedly celebrated in 2011, died on Sunday near Brussels. She was 94. Her death was confirmed by her biographer, Martin King. Ms. Chiwy (pronounced CHEE-wee) was mentioned in passing only as “Anna,” a black nurse from Congo, in Stephen Ambrose’s book “Band of Brothers.” She was played by Rebecca Okot in an episode of the television series based on the book. It took Mr. King, a British military historian, to trace her to a retirement home near Brussels, overcome a condition called selective mutism, which prevented her from speaking about her wartime experience, and finally identify her in a 2010 book published abroad titled “The Forgotten Nurse.” His TV documentary “Searching for Augusta: The Forgotten Angel of Bastogne” was released last year. A book in 2010 about Ms. Chiwy’s experiences. …Augusta Marie Chiwy was born on June 6, 1921, in a village near the Rwandan border that is now part of Burundi. Her father, Henri, was a veterinarian from Belgium. Her mother was Congolese. Her father took her to Bastogne when she was 9. She planned on becoming a teacher, but when the war began she turned to nursing. She married a Belgian soldier, Jacques Cornet, in 1950. They had two children, Alain and Christine, who survive her. Read the entire obituary here. What does it mean to be Black and multiracial in Belgium? How does sub-Saharan African culture and experiences impact the lives of multiracial people or Afropeans in Belgium? How influential is the U.S. Black experience in the formation of an Afropean identity rooted in Belgian and African cultures? These were some of the questions that I pondered, seven weeks ago, at the outset of this project – eight weeks later, I am still grappling with them. This past summer, I arrived in Ghent, Belgium – a city with a population of 100,000 people, located forty-five miles northwest of Brussels – with hopes of understanding and delving into the multiracial experience of five people with parents from a sub-Saharan African country and the Flanders region in Belgium. Through interviews, observational data, photography, and other methods, I compiled valuable information regarding their stories. I was drawn to Belgium for various reasons. As the son of an African American father and a first generation immigrant mother from Mexico, I have always been intrigued by the ways in which immigrant-origin populations impact the racial and social fabric of receiving sites. In attempting to construct my own multiethnic and multilingual identity, I have navigated, and often struggled, to understand my role in my family and community, and the subsequent reactions of my relatives – on both sides of the border, on both sides of my family tree. In Belgium, I found similar experiences with people who had at least one parent from an African country. The feelings of marginalization that I came across were all too familiar: ‘People didn’t know how to treat me’ and ‘I felt like I didn’t belong in either Belgium or Africa’ were some of the feelings that were expressed. Often, as I learned, my respondent’s relatives were faced with the challenges of conceptualizing both an African heritage and a Belgian identity. For many of these relatives, as I was told, the idea of a Belgian identity was already complicated by the French-Dutch language divide manifested in the Wallonia and Flanders regions in Belgium. ‘Identity in Belgium is already complicated,’ one person told me. ‘Are we French speaking or are we Dutch speaking? You add race and national origin to that and it really makes things interesting.’ As opposed to many societies around the world, many regions in Belgium, exercise – amidst contentious debate – a French and Dutch multilingual reality that, often, exacerbates identity formation for people of multiracial backgrounds, so that not only does an Afropean, in the spirit of W.E.B. Dubois, have to navigate a “double consciousness” of being European and African, but also split identities pertaining to language. In this thoroughly revised fourth edition, with ten new chapters, the editors provide thought-provoking discussions on the importance of ethnicity in different cultural and social contexts. The authors focus especially on changing ethnic and national identities, on migration and ethnic minorities, on ethnic ascription versus self-definitions, and on shifting ethnic identities and political control. The international group of scholars examines ethnic identities, conflicts and accommodations around the globe, in Africa (including Zaire and South Africa), Belgium, Brazil, Bulgaria, Italy, Japan, Lithuania, Macedonia, the Netherlands, the United States, Thailand, and the former Yugoslavia. It will serve as an excellent text for courses in race & ethnic relations, and anthropology and ethnic studies. Around 1785, a woman was taken from her home in Senegambia and sent to Saint-Domingue in the Caribbean. Those who enslaved her there named her Rosalie. Her later efforts to escape slavery were the beginning of a family’s quest, across five generations and three continents, for lives of dignity and equality. 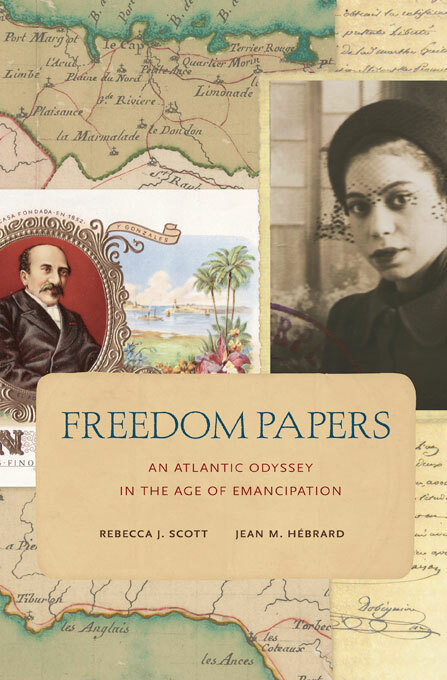 Freedom Papers sets the saga of Rosalie and her descendants against the background of three great antiracist struggles of the nineteenth century: the Haitian Revolution, the French Revolution of 1848, and the Civil War and Reconstruction in the United States. Freed during the Haitian Revolution, Rosalie and her daughter Elisabeth fled to Cuba in 1803. A few years later, Elisabeth departed for New Orleans, where she married a carpenter, Jacques Tinchant. In the 1830s, with tension rising against free persons of color, they left for France. Subsequent generations of Tinchants fought in the Union Army, argued for equal rights at Louisiana’s state constitutional convention, and created a transatlantic tobacco network that turned their Creole past into a commercial asset. Yet the fragility of freedom and security became clear when, a century later, Rosalie’s great-great-granddaughter Marie-José was arrested by Nazi forces occupying Belgium. Freedom Papers follows the Tinchants as each generation tries to use the power and legitimacy of documents to help secure freedom and respect. The strategies they used to overcome the constraints of slavery, war, and colonialism suggest the contours of the lives of people of color across the Atlantic world during this turbulent epoch. I have no race except that which is forced upon me. I have no country except that to which I’m obliged to belong. I have no traditions. I’m free. I have only the future. I was born in 1959, in what was then the Belgian Congo, of a Congolese colonized mother and a Belgian colonial father. I grew up in Belgium. The Congo Free State (C.F.S.) was created as a private property of the Belgian King Leopold II in 1884–85 at the Berlin Conference and lasted until 1908. It was succeeded by the Belgian Congo, which lasted from 1908 until 1960, when the country gained its independence (see Vangroenweghe 1986; Ndaywel è Nziem 1998; Hochschild 1998). During the short history of colonial rule, the organization and implementation of the colonial enterprise were conducted almost exclusively by males. There was a contingent development of the institution of the ménagères, wherein African women and the male colonizers developed relationships of sexual intimacy. These relations occurred between female “housekeepers” (the ménagères) and the male colonizers whom they were serving. These relationships developed within the context of the absence of European women—an absence legitimized by their supposed biological unsuitability for the African tropical climate (Habig 1944, 10–11; Stoler 2002). The practice of sexual relations between the male colonizers and the colonized African women was universal and widespread, particularly outside the most important urban centers of Leopoldville, Elisabethville, and Stanleyville. Once in the Congo, many agents of the state and many employees of private colonial companies looked for the companionship of African women, who provided them with housekeeping, affection, and sexual favors. Usually, Belgian men kept their ménagères with them until the end of their tour of duty. State employees and agents of private companies were contractually employed for a three-year term. They would normally leave at the end of the term, usually spending six months’ vacation in Belgium, after which they had the option of returning to the colony for another three-year tour of service. This could continue indefinitely.Upon their return to the colony, it was customary for them either to retain the same ménagères in their “employ” or to choose another from among the “available African women.” Sometimes, the ménagères would become pregnant. If she did, she was typically sent back to her village with a small “financial indemnity” and material compensation. Usually, the colonial agent would then choose a new, young African woman to replace her in his house and in his bed. The number of children born out of the widespread practice of sexual intimacy forced the colonial administration and the Belgian Parliament to debate what they termed the problème des métis, “the mulatto problem.” The issue was the treatment of the mulatto offspring of these unions: whether they should endure the same status as the rest of the Congolese population or whether they should be considered an intermediate group above the latter but beneath the Europeans. Attempts at resolving the dilemma produced a series of contradictory policies, resulting in considerable ambiguity. This ambiguity came to characterize the lives of the growing population of métis throughout the entire colonial period (Jeurissen 1999; Stoler 2002). Usually, the status of the métis depended upon the degree of recognition and acknowledgment of parenthood by their fathers. Those who were not recognized were often abandoned by their mothers because of the ostracism that they faced when returning to their native villages. The abandoned children usually ended up living in Catholic and Protestant missionary boarding schools, which were created for this purpose. You haven’t heard much from me lately. I was writing a book and it’s finally finished and published. The book I wrote together with Kathleen Ghequière traces back a history of Africa and Europe that has been ignored for too much time. Some of you know about the mixed race children of Australia thanks to movies such as ‘Rabbit Proof Fence’ or even Baz Luhrmann’s latest ‘Australia’. But concerning Africa this history is unknown.